The number of parts used in modern cars is staggering, and in these modern vehicles, some of those parts are made using 3D printing today. A company called Carbon has announced that it is producing digitally manufactured polymer parts for the Ford Motor Company, the parts are being used in some of the coolest cars that Ford makes. 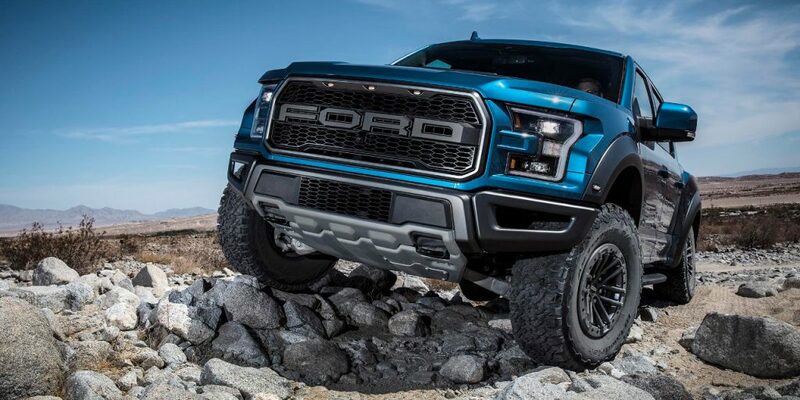 The components that Carbon is making for Ford include Ford Focus HVAC Lever Arm Service Parts, Auxiliary Plugs for the Ford F-150 Raptor truck, and Electric Parking Brake Brackets for the epic new 2020 Ford Mustang Shelby GT500. Ford and Carbon announced the applications for the 3D printed parts earlier this week at the Detroit Auto Show reports Advanced Manufacturing. The parts that Ford is getting from Carbon mark an expanded collaboration between the two firms. The components are made using Carbon’s robust and reliable printers along with its proprietary Digital Light Synthesis technology and Carbon’s EPX (epoxy) 82 material. The EPX 82 material was tested by Ford and found to pass its rigorous performance standards, and to be able to stand up to requirements that are critical for the part applications such as interior weathering, UV stability, fluid and chemical resistance, short- and long-term heat exposure, flammability, and fogging in their selected applications. Carbon’s CEO and co-founder, Dr. Joseph DeSimone, said that his company can deliver durable, end-use parts with similar or better properties than injection molded parts. In November 2018, Carbon announced significant price reductions for its most widely used 3D printing resins, making its parts more cost-effective. Carbon works with firms in multiple markets including Vitamix, Johnson & Johnson, and Adidas. Ford is also leveraging 3D printing for other types of car parts; it filed for a patent in August 2018 on a 3D printed brake rotor. Ford has also been testing a giant 3D printer that can print full-scale car parts that are lighter than metal parts and can be manufactured quickly. this honestly isn’t a bad idea for a lot of car parts since a lot of things on modern automobiles are plastics or “injection molded.” I could see a lot of 3d printed parts being used on a lot of non-performance vehicles and even electric vehicles and a lot of interior trim pieces or even under hood trim pieces, molding, reservoirs, light housings, spoilers, intake manifolds, valve covers, intake filter housings, thermostat housings, timing chain guides and things like that.